A senior accounting and management double major, Chris Soderberg ’19 discovered new academic, athletic, and professional communities while at Elms. Internships at KPMG and MBK gave him valuable perspective. As a junior, Chris Soderberg ’19 spent the entirety of his spring semester in a paid internship at KPMG, one of the “Big Four” accounting firms. He earned 12 credits toward his degree and gained work experience at a global professional services firm. “It’s cool to think that a small school like Elms has the opportunity to reach out to some of the top firms in the world, and have you participate in their programs,” said the Florence, MA, native. But, although Chris appreciated his time at KPMG, it wasn’t until he started his second internship at Meyers Brothers Kalicka (MBK), a firm in Holyoke, MA, that he found what he was looking for: a sense of community. At Elms, Chris encountered a similar emphasis on personal connection. 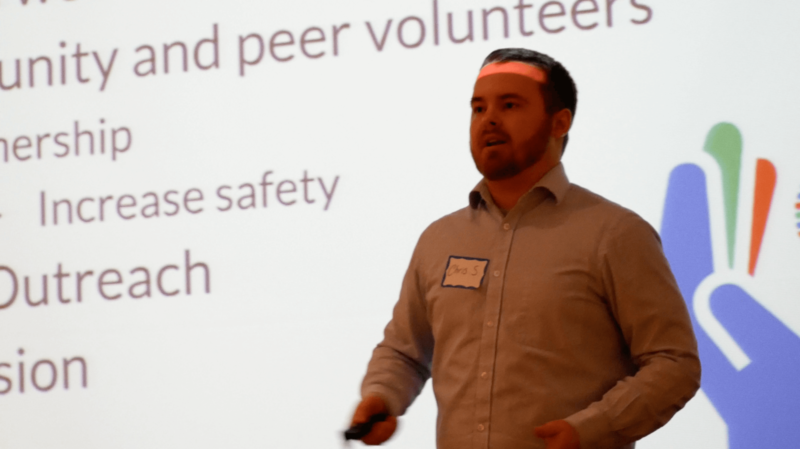 Along with other business majors taking a class on social entrepreneurship, Chris was one of the chief architects of the Elms Innovation Challenge, a 72-hour workshop that invites students to develop and pitch solutions to social issues. “Hopefully, it’s going to be beneficial for the community as a whole in the future,” he added. For the inaugural Elms Innovation Challenge, teams developed solutions to address bullying in different social and educational contexts. “It was super rewarding putting the program together,” Chris said. Learning the art of empathy gave Chris insights into group dynamics, too. 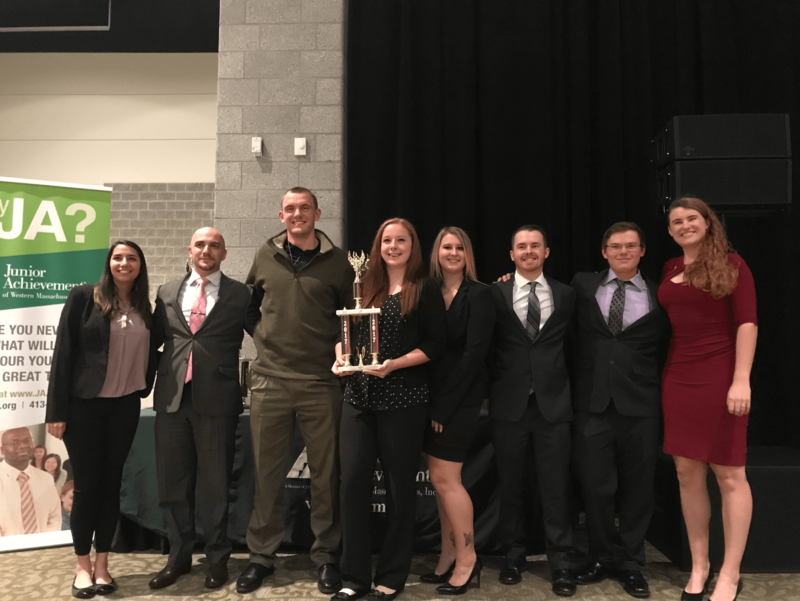 In addition to events like the Elms Innovation Challenge, business majors have a variety of opportunities to apply theories and concepts to real-life situations. 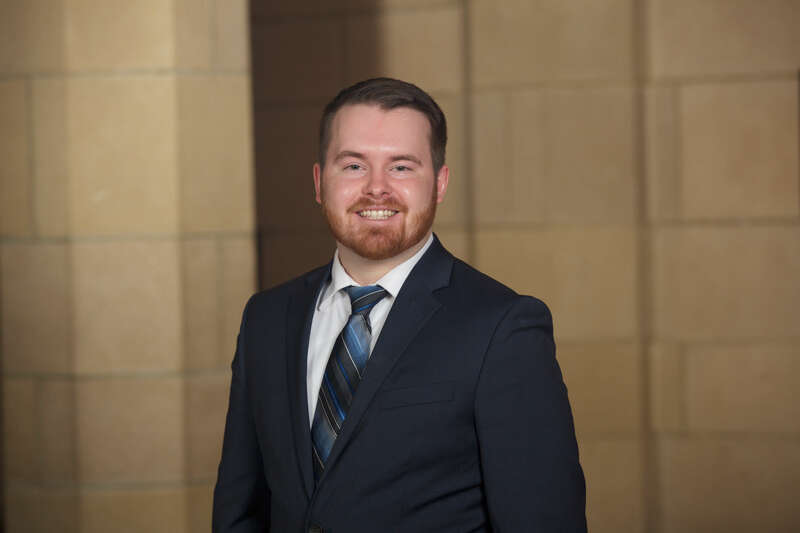 For two years, Chris also participated in the International Assembly for Collegiate Business Education (IACBE) case competition, where teams go head to head analyzing a case study and presenting arguments using ethical frameworks. 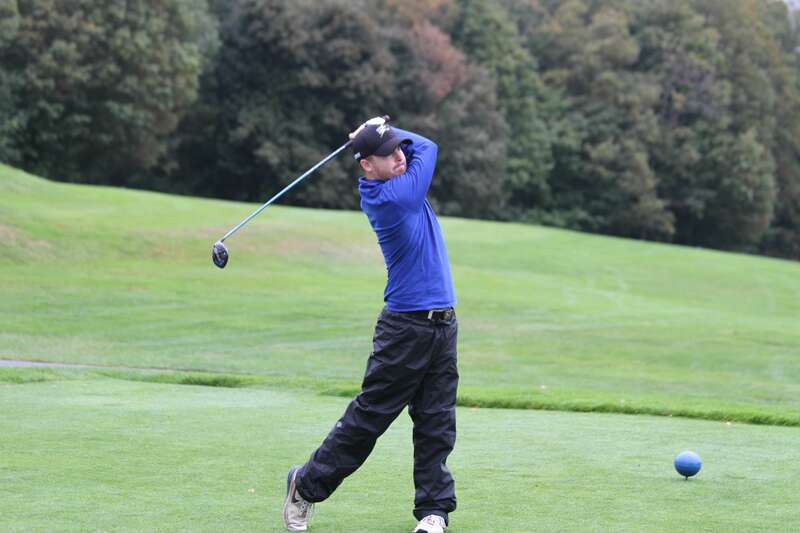 Between studying, networking, and working, Chris also makes time to compete on the men’s golf team. As team captain for the past two years, and a member of the Student-Athlete Advisory Committee (SAAC) for the past three years, he’s helped incoming student-athletes adjust to Division III sports. Becoming a leader on the green is a way of bringing everything full circle, as Chris himself had guidance from his teammates when he was a first-year student. Brian Benson, MBA ’20 (second from left), Chris (third from right), and fellow Elms business majors and alumni at the 2017 Junior Achievement Stock Market Challenge. Elms earned the top prize for best college team and best overall team. Chris volunteers with JA extensively, participating in “JA For A Day” since he was a first-year student, and the JA golf tournament for the past two years. “JA is a great organization that allows you to make an impact in your community,” he said. Taking Brian’s cue, Chris plans on earning his MBA after he graduates, as well as passing the CPA (certified public accountant) and CFP (certified financial planner) exams. He hopes to open his own firm one day, once he’s gained more experience in the accounting industry. Chris distinguished himself on the green during his time at Elms, earning recognition as a first team all-conference athlete for two years. The Division of Business offers majors in accounting, healthcare management, marketing, management, entrepreneurship, and sport management. We also offer an accelerated BA/MBA for students interested in earning two degrees in five years. Contact us or schedule a campus visit to learn more.